It’s July. It’s hot. And it seems like we cannot get enough to drink! It’s so important to stay hydrated in the summer months, but I’ll admit it – drinking plain old water can get boring. What about trying something that’s not only cool and refreshing, but also flavorful and packed with antioxidants? I am talking about iced tea, of course. But not just any iced tea. This is Inko’s White Tea. White tea has always been one of my favorites because it’s minimally processed, which gives it a subtle, yet smooth flavor. White tea is also full of antioxidants, which work to fight cancer, and promote heart and skin health. Plus, it just tastes great! It’s July. It’s hot. And it seems like we cannot get enough to drink! It’s so important to stay hydrated in the summer months, but I’ll admit it – drinking plain old water can get boring. What about trying something that’s not only cool and refreshing, but also flavorful and packed with antioxidants? I am talking about iced tea, of course. But not just any iced tea. This is Inko’s White Tea. White tea has always been one of my favorites because it’s minimally processed, which gives it a subtle, yet smooth flavor. White tea is also full of antioxidants, which work to fight cancer, and promote heart and skin health. Plus, it just tastes great! So, what sets Inko’s White Tea apart from the rest? Inko’s uses less sugar than other bottled teas you might find on the shelf with only 12 grams (or 0 grams for the unsweetened variants) per serving. 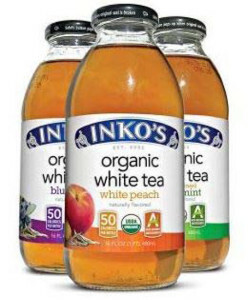 In addition, Inko’s White Tea varieties have only 50 calories per bottle (or 0 calories for the unsweetened variants), making this the perfect light and crisp summer cool-off to quench your thirst! These organic teas also come in unique and enticing flavors to keep you pleasantly refreshed. Try the blueberry, peach, and mint varieties on sale at your local Festival Foods store this month! Nutritional Information Serving Size: 1 bottle Calories 50 (Blueberry and White Peach) 0 (Hint O’ Mint) Total Fat 0g (Saturated Fat 0g, Trans Fat 0g) Cholesterol 0mg Sodium 0mg Total Carbohydrate 12g (Blueberry and White Peach) 0g (Hint O’ Mint) Sugars 12g (Blueberry and White Peach) 0g (Hint O’ Mint) Protein 0g Ingredients Blueberry: Organic Brewed White Tea (filtered water, organic Silver Needle White Tea, organic White Peony Tea), organic cane sugar, organic blueberry flavor, natural flavors, ascorbic acid (vitamin C), organic stevia, organic honey Hint O’ Mint: Organic Brewed White Tea (filtered water, organic Silver Needle White Tea, organic White Peony Tea), organic ginger extract, organic mint extract, natural flavors, ascorbic acid (vitamin C). White Peach: Organic Brewed White Tea (filtered water, organic Silver Needle White Tea, organic White Peony Tea), organic cane sugar, natural flavor, organic peach flavor, ascorbic acid (vitamin C), organic stevia, organic honey. 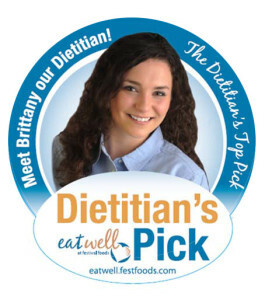 Disclaimer: We strongly encourage guests to review the ingredient lists of suggested products before purchasing to ensure they meet individual dietary needs. Not all products available at all Festival Foods locations.